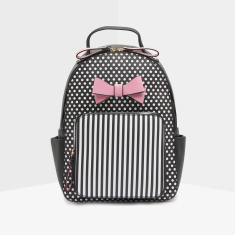 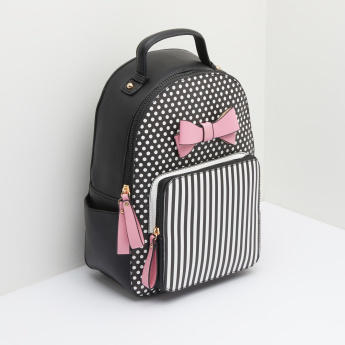 Make a bold statement by picking this attractive, smart and stylish polka dot printed backpack. 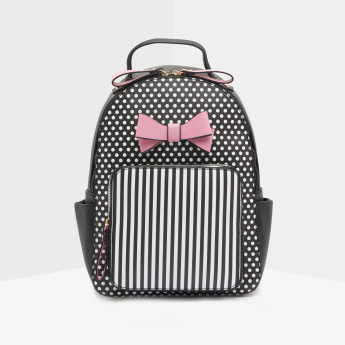 It features a contemporary design and comes with a striped front pocket and bow detail that adds an edge to it. 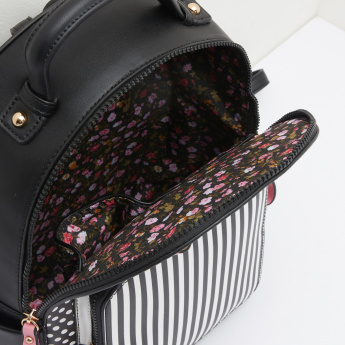 The zip closure ensures complete safety of your belongings.